When stock markets fell in early 2016, predictions of another global recession were hard to ignore. Once again, commentators were warning that a repeat of the 2008 financial crisis was close at hand. GFC Economics disagreed. 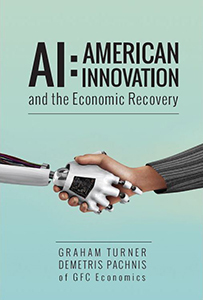 AI: American Innovation and the Economic Recovery is the fifth and latest offering from authors Graham Turrner and Demetris Pachnis at GFC Economics and was released on 10 June 2016. It details how investment in key areas (such as technology) is driving the creation of new jobs. It critiques the relevant data and challenges the old orthodox ways of interpreting economic numbers at face value. Below are links to access with further information about the book. If you need something that is not listed below, please contact info@gfceconomics.com. The U.S. Economic Recovery is an optimistic analysis, which argues that the economic upturn underway in the US can be sustained. This framework can equally be applied to the Eurozone, the UK, Japan and China. It draws upon the lessons of the Great Depression and the cycle of relentless boom and bust witnessed since the early 1970s. It outlines the rationale behind a policy of cheap, but tight money needed to underpin the economic recovery and secure a full employment that will endure. 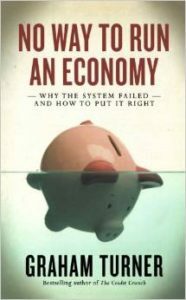 This book also offers a critique of monetary and fiscal policy since late 2008 in response to the subprime debacle. Most importantly, The U.S. Economic Recovery provides a thorough case for investment-led growth and an optimistic outlook for the US economy. GFC Economics recommended aggressive measures, such as quantitative easing, in early 2008. But the action taken came too late. No Way To Run An Economy dissects policy errors including Obama’s fiscal stimulus and the obsession of central banks with the red herring of inflation. 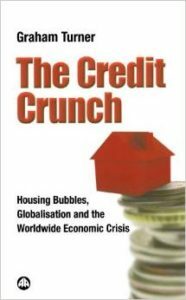 The Credit Crunch examines the pitfalls within globalisation leading to the financial crisis that rocked the world economy in the autumn of 2008. When it was published, The Credit Crunch warned that central banks and governments were underestimating the potential difficulties that lay ahead. It examined the parallels with Japan and argued for a more urgent policy response, to ‘prevent debt deflation taking root’. Graham Turner shows that the housing bubbles in the West were deliberately created to mask the damage inflicted by companies shifting production abroad in an attempt to boost profits. As these bubbles burst, economic growth in many developed countries will inevitably tumble. The Japanese crisis of the 1990s shows that banks and governments may struggle to contain the fallout. The problem has not been limited to the US, the UK and Europe: housing bubbles have become endemic across wide swathes of emerging market economies. As the West slides, these countries will see an implosion of their credit bubbles too, shaking their faith in the free market. 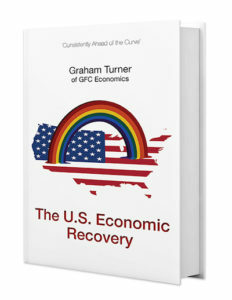 Turner is an experienced and successful economic forecaster, whose opinions are sought by large international banks and top financial journalists. Drawing from his first hand experience of the Japanese property crash of the 1990s, he presents his analysis in a clear and persuasive style, showing that the end of housing market growth spells disaster for neoliberal globalisation. 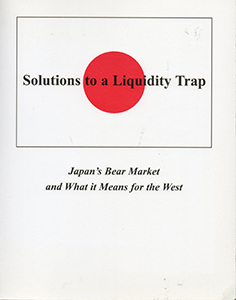 Solutions to a Liquidity Trap is an in-depth analysis of Japan’s long bear market and examines in detail the policy mistakes made by the Japanese authorities as they battled against more than a decade of deflation. It contains a strong historical narrative of all the financial crises that erupted from 1990 onwards, in chronological order, including a detailed record of all the key bankruptcies that wreaked so much havoc.